Taking too much time for building setting forms and pages? 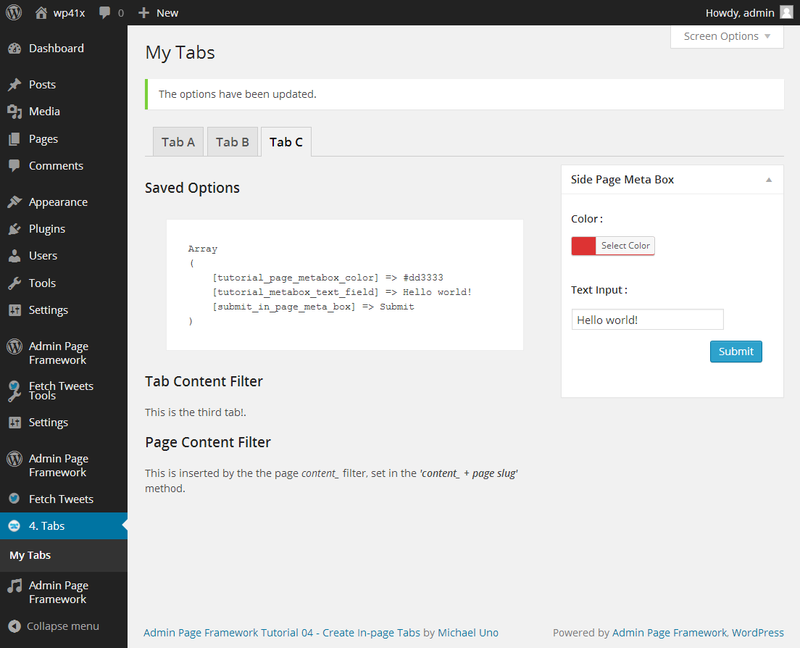 Use Admin Page Framework to reduce development time spent for coding admin pages and forms. Create form fields at ease. You don't need to code the internal workings of fields. Create floating boxes that contain form fields easily. It can be added in generic admin pages as well as post definition pages. Dynamically repeat sections if necessary. Toggle visibility of form sections. 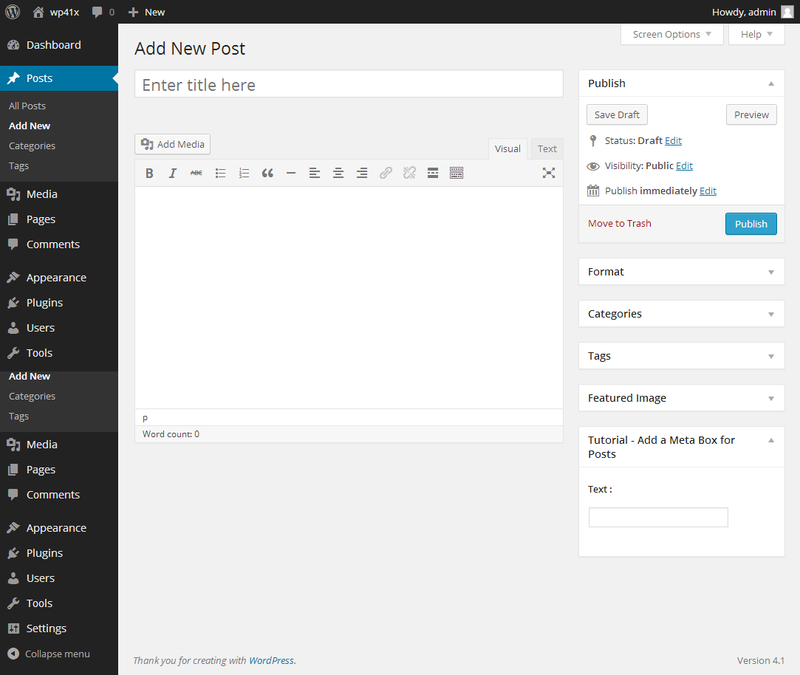 To build an admin page, this is it! Your code will be super simple. Creating widgets has never been this simple. It's entirely free and open source. Anybody can use it and fork it. 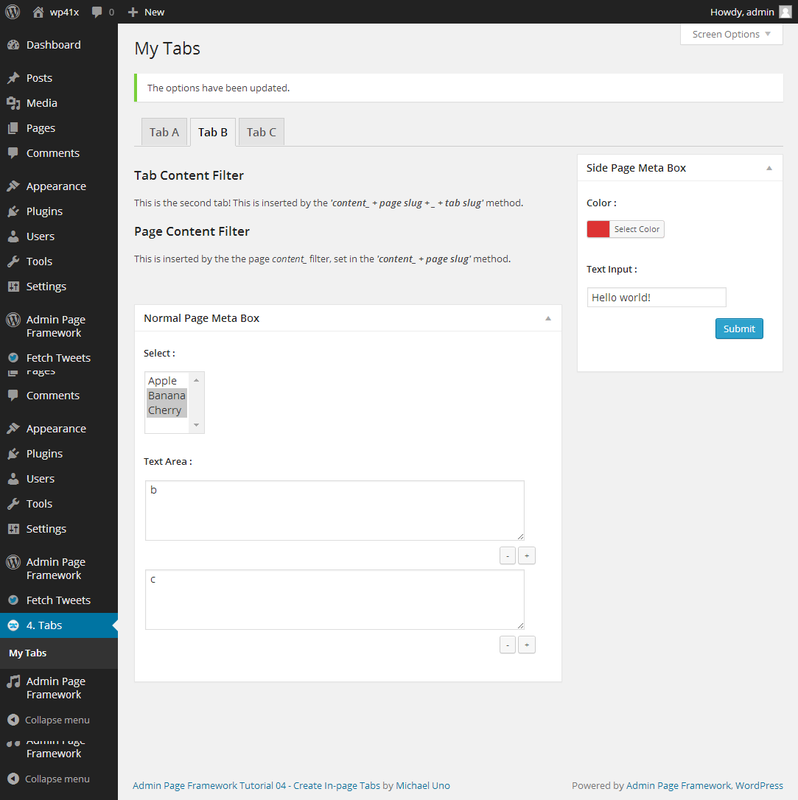 To understand the overall workflow, create a simple plugin with Admin Page Framework.